The timber stairs shown here were cut, finished, and assembled at our shop, then shipped to the home for installation. The homeowners wanted large timber stairs to match the timber accents in their house and the timber framing of their carport. To give you an idea of size, the treads measured 4″ thick by 15″ deep and 4 feet wide. 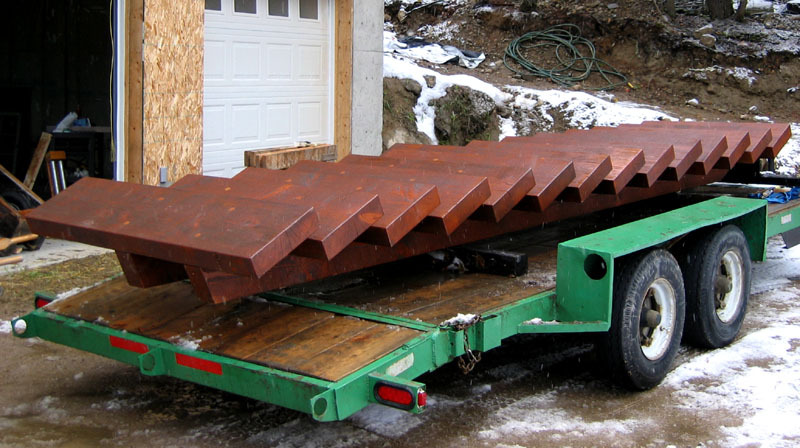 On a standard set of deck stairs, the treads are only 1.5″ thick by 11″ deep and 3 feet wide.